The Mission of the Wausau School District's Early Educational Program is to provide every child with the foundation to become a life-long learner through school, family and community partnerships in safe, caring and enriching environments. Aspirus Therapies our collaborators for the SPACe Clinic. The mission of the Autism Society of Wisconsin is to improve the lives of all affected by autism in Wisconsin. ASW is continuing to look forward to provide increased support and information to the autism community in Wisconsin. We understand how important it is to you to enjoy life to the fullest. You might be a weekend sports enthusiast, an active senior, or a high school athlete - you just don't want to be sitting on the sidelines. Our mission is to provide a safe and secure environment for youth with autism and an opportunity to experience a residential summer camp. Our vision is to provide an experience that enables campers to feel pride in learning new skills while being away from home. Campers will be with children their age, who share the same interests, skills, and wonderful gifts. Camp HOPE is a wonderful place in central Wisconsin where children and teenagers gather to work through the grieving process after a loved one dies. The camp gently guides the children and teenagers through the complex emotions by showing them that they are not alone. "CHADD improves the lives of people affected by AD/HD." Children and Adults with Attention-Deficit/Hyperactivity Disorder (CHADD), is a national non-profit, tax-exempt (Section 501 (c) (3) ) organization providing education, advocacy and support for individuals with AD/HD. Lots of information about the benefits of exercise for children and adults with ADHD. 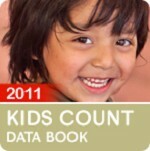 The KIDS COUNT Data Center provides easy online access to the latest data on child well-being nationwide. Find hundres of indicators on such topics as education, employment and income, health, poverty, and youth risk factors for all U.S. states and many cities, counties, and school districts. · MILC is a public non-profit agency serving persons with disabilities of all ages. · MILC is operated by staff and board composed primarily of people with disabilities. · MILC services are consumer directed working together with staff to meet goals. By joining the myMDA community, you'll be part of a full, feature-rich experience of a social networking site specifically for the neuromuscular community. NIMH Vision NIMH envisions a world in which mental illnesses are prevented and cured. NIMH Mission The mission of NIMH is to transform the understanding and treatment of mental illnesses through basic and clinical research, paving the way for prevention, recovery and cure. Parent Choice Foundation-Reviewing Children’s Media Since 1978 Trust. Integrity. Independence. Since 1978. Established in 1978, Parents’ Choice is the nation's oldest nonprofit guide to quality children's media and toys. Any product or piece of equipment used to maintain or improve the functional capabilities of people with disabilities is an assistive technology (A.T.) device. These items may be commercially-made products intended as assistive technology, common products that have been modified to serve an individual's need, or custom-made. They may be as simple as using a loop-style drawer handle, or as complex as a sip-and-puff switch to operate a personal computer. Therapies Plus, LLC consists of a team of licensed and highly trained occupational, physical, and speech therapists with many years of experience in pediatric care. Our therapists use a transdisciplinary comprehensive treatment approach. All therapy is performed under the direction of a physician. Founded in 1972 in Bayside New York, the national Tourette Syndrome Association is the only national voluntary non-profit membership organization in this field. Our mission is to identify the cause of, find the cure for and control the effects of Tourette Syndrome. About the Department of Health Services (DHS) On July 1, 2008, the Department of Health and Family Services became the Department of Health Services and the new Department of Children and Families was created. The Department of Public Instruction is the state agency that advances public education and libraries in Wisconsin. The department is headed by the State Superintendent of Public Instruction, a nonpartisan, constitutional officer elected every four years. The agency was created in 1848, the year Wisconsin attained statehood, when the state constitution provided for the establishment of local school districts and a free education for all children in the state.